If I could take my dog with me I think I would relocate to Manchester. It really has become my favourite place in the UK to visit. I envy anyone who lives there, such a great city. I've been a few times now but this time I took my best friend Laura up with me for three days of cake eating and shopping. After a delayed train and dragging my case to the hotel me and Laura headed towards the city centre for some food and shopping. I was supposed to be shopping for Christmas presents but bought myself a dress for an interview next week, a stila brush set and a few new jumpers. Oops. 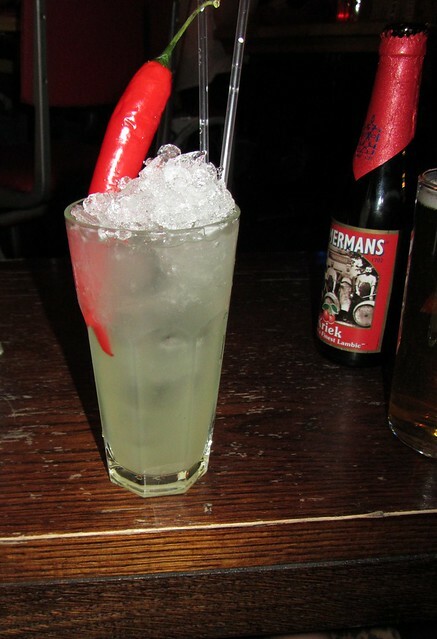 I hate only going to chain stores and restaurants when I go away so to balance out food at Wagamamas I headed to Trof in the Northern Quarter for an open mic night and unusual cocktails. It was great to meet some interesting locals including a guy called Krazy Horse who has his own fact sheet, very odd! The next day I headed back to the Northern Quarter to meet the very lovely Danielle for tea and cake. I always assumed I wouldn't be able to meet Danielle because she lived so far away and I'm so glad I suggested a little meet up on twitter. If you've ever wanted to meet an online chum but are apprehensive I would say just go for it. I think Danielle is the Northern me and I wish she lived closer so we could hang out more. I suppose I will just have to take more journeys up North and I hope Danielle will show me the sights of Blackpool sometime. Laura had this gorgeous lemon, poppy seed and white chocolate cake (I nicked one of her choccy straws) I opted for flourless chocolate cake which was also amazing. After too much cake I took Laura to my favourite museum in the UK, the People's History Museum. The People’s History Museum derives its origin from the Trade Union, Labour and Co-operative History Society and as a former history student and member of the Labour party I just can't get enough of this place. 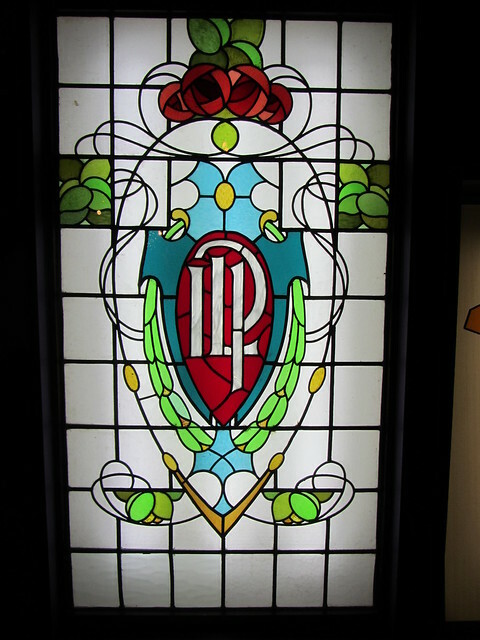 It charts people's struggle for rights and has some beautiful historic trade union and political banners. 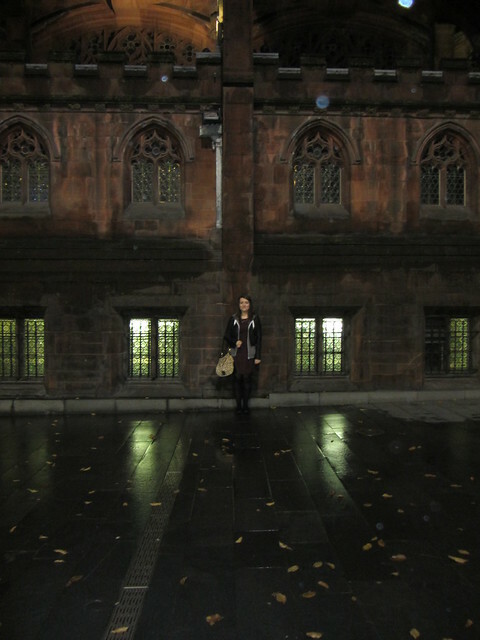 Me outside the John Rylands library on Deansgate. The main purpose of our visit was to see Maximo Park play at the Ritz so we headed back to the hotel for a disco nap (does anyone else say disco nap?) and got ready for our night out. Maximo Park were the best I've ever seen them and played the perfect set with plenty of old songs and all my favourite new ones. Paul Smith has such an amazing stage presence and they seem like such a genuine band. I love how they play proper guitar music and Paul Smith is such a poet. 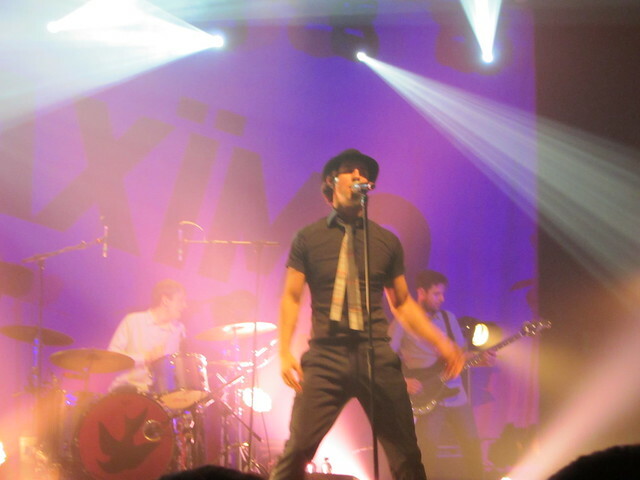 How people can listen to dubstep is beyond me when bands like Maximo Park exist. Basically, I want it to ne 2003-8 again, I had the best time going to loads of gigs then. 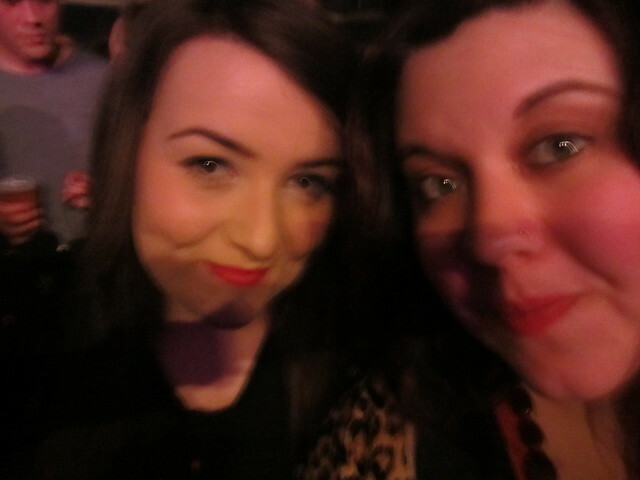 I also got to meet another blogger at the gig called Rosie and she is hilarious. She loves Ed Sheeran as much as I love Dr Who and never fails to make me laugh on twitter. I headed on to a dodgy metal/biker pub after the gig and went on to a really cheap indie night and drank a few too many £1 drinks and chatted to some locals. Mancs are really friendly! 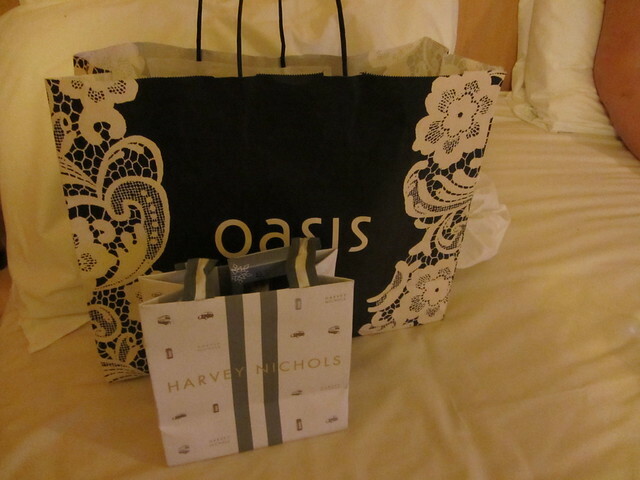 I left Manchester the next day hungover but very happy. I'm already planning my next trip there in the new year. 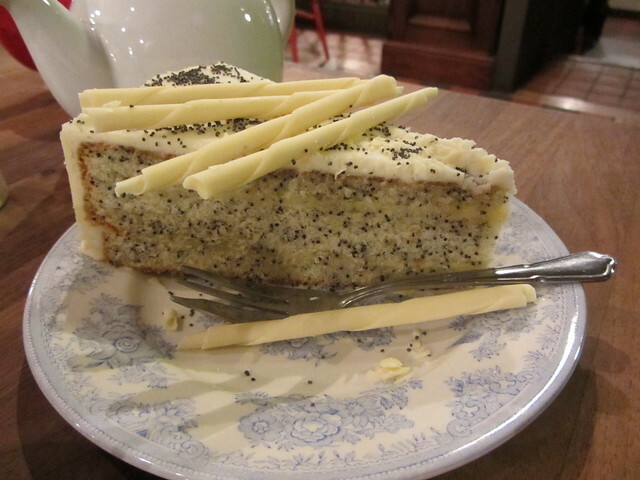 I really really want that poppy seed and white chocolate cake - getting cravings now!! That cake looks amazing, I am so hungry! 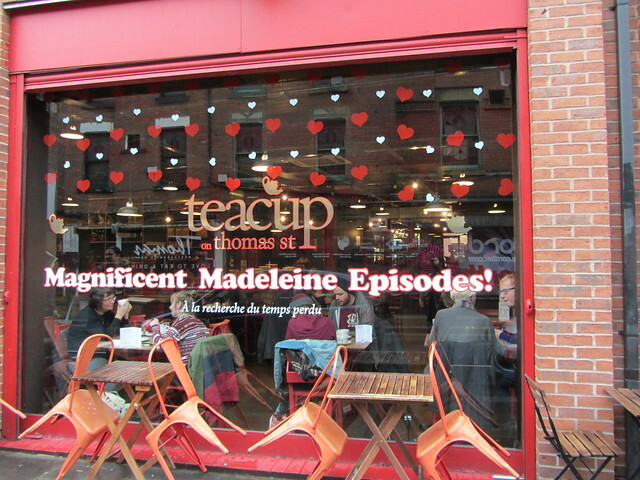 I am going to visit my siter in Machester soon, I have always wanted to go and never been! 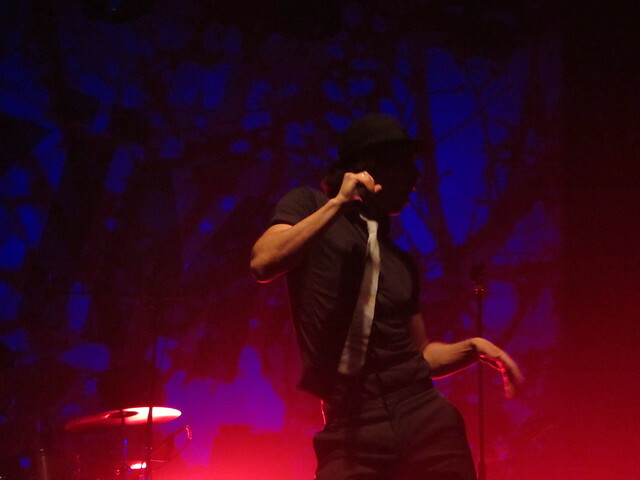 Maximo Park are great aren't they? I managed to see them twice in their hometown of Newcastle when I was a student up their, plus I saw Paul Smith at a graduation once - oddly enough. Great to see they are still on the go - totally takes me back to 2006 though! I can't believe you were at that concert- so was I! It was so good, I've loved Maximo Park since I was 15 but I'm never managed to see them live since they never seem to come past Bristol, but the wait was definitely worth it! One thing though, I was in the third row back on the right of the centre, and there was a girl in front of me who had the biggest bag ever with her and didn't even dance, she just stood there taking pictures! So annoying! I was also in Manchester the week before last for some other concerts (the good points of having a sister studying there!) and went to an amazing 60s dance night called Revolver, really recommend going to that next time you're there! 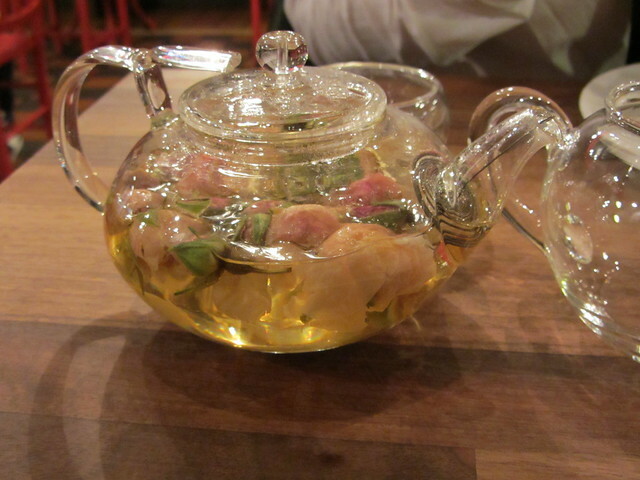 The Nexus Art Cafe is also amazing. Saying that, that cake looks divine! 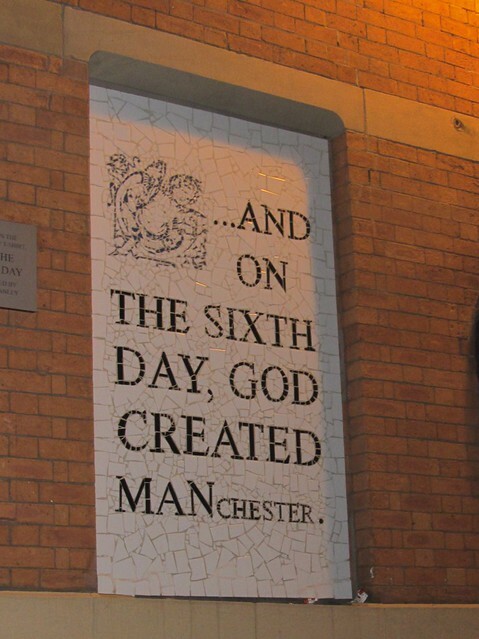 I live in Manchester and usually no one has a nice word to say about it so thank you! I love living here. Didn't really know how much I'd miss it until I moved to Spain for 6 months. Now I appreciate it even more! Aww I love that you love Manchester! I may be biased but it's my favourite city and I always consider myself very lucky that I get to live here. Ahh next time you come up let me know! I'd love to meet up :) Teacup is ace isn't it? I was in Manchester at the weekend for a library event and it made me really miss it cos I used to go shopping there lots when I was a teenager. Definitely need to sort out a Christmas shopping trip - the Christmas market is fab! Well it looks like you've been having a great time up there. Don't leave us for long though!